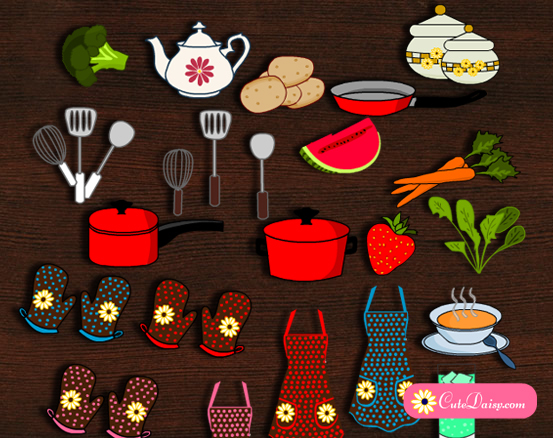 I had shared these stickers earlier as well but then lost this post somehow so I am sharing these stickers again. 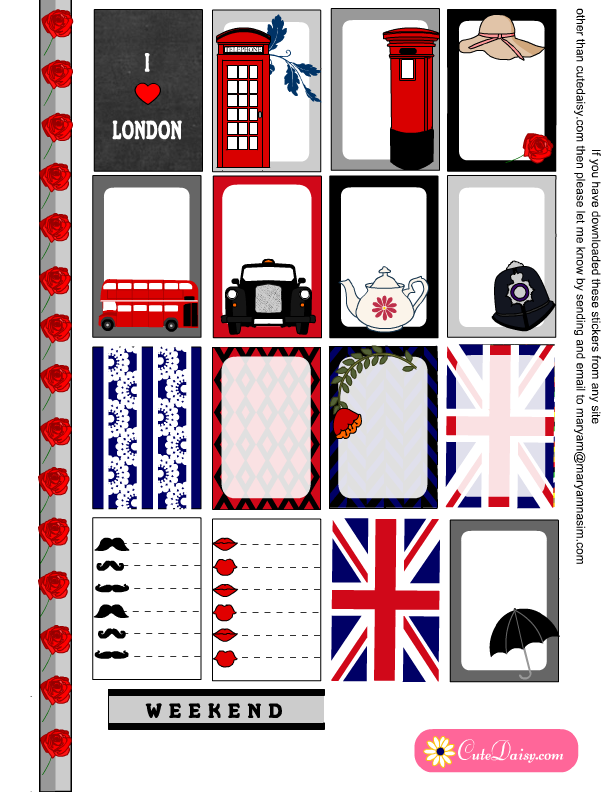 I have made two pages of free printable London themed stickers for Happy Planner. 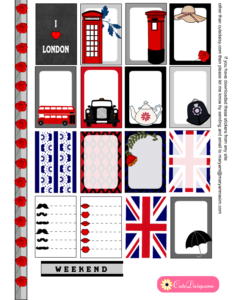 I have made telephone booth, bus, post box and taxi along with many other cute images. 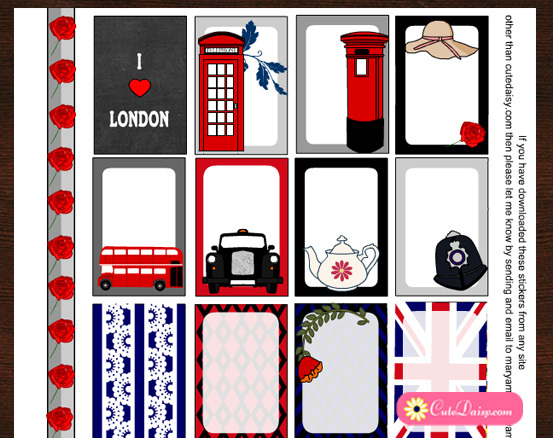 I have made these stickers in PDF format and all the graphics used in these stickers are made by me except the lace graphic is taken from vecteezy.com. 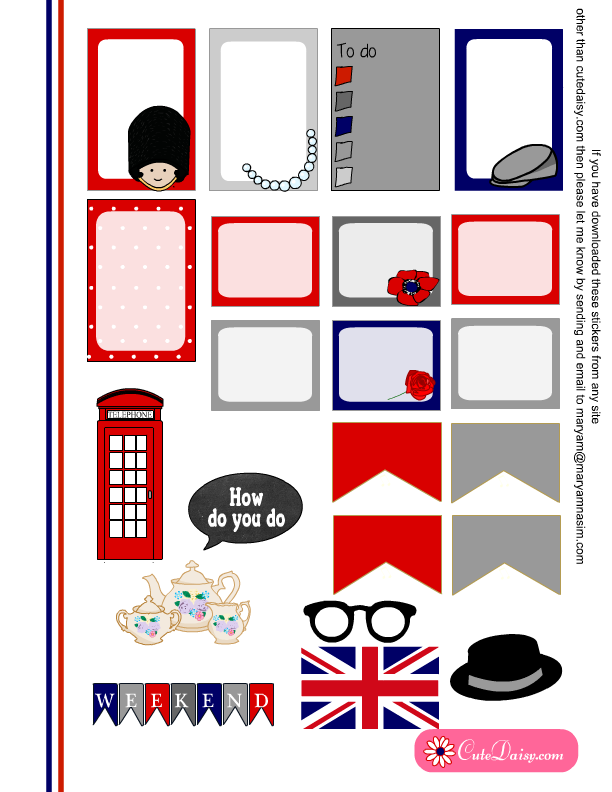 Click here to download the first sheet of these stickers and click here to download the second sheet. 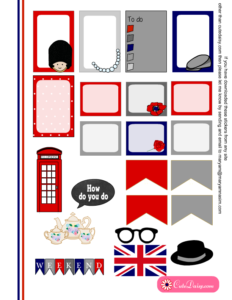 If you like these stickers then please leave a comment and please pin these images on Pinterest.